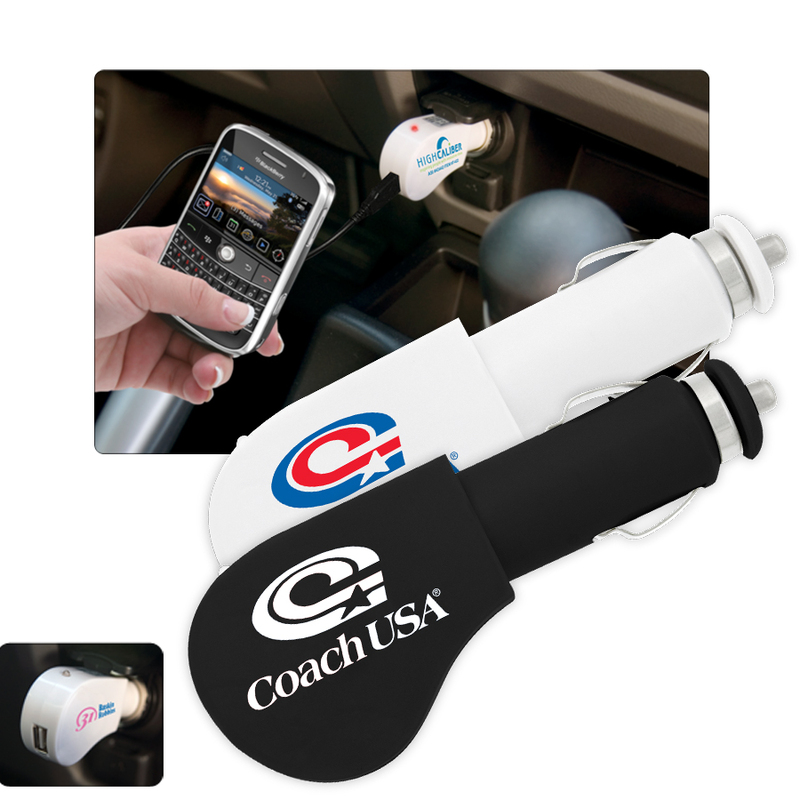 Conveniently charge mobile phones, iPods and other electronic devices in your car. Simply plug in your device into this plastic USB charger. The charger plugs into any standard cigarette lighter charger. Cords are not included. Input: 12-24V Output: 5V DC 1A Max. Individually packaged in a white box. Colours: White or Black, Dimension: 38mm w x 102mm h. Price includes : 3 Day Service* Pad Print - One Colour/Location. Setup is included.